The Elis LED Wall Light will look attractive in any contemporary bathroom with its modern and stylish design. 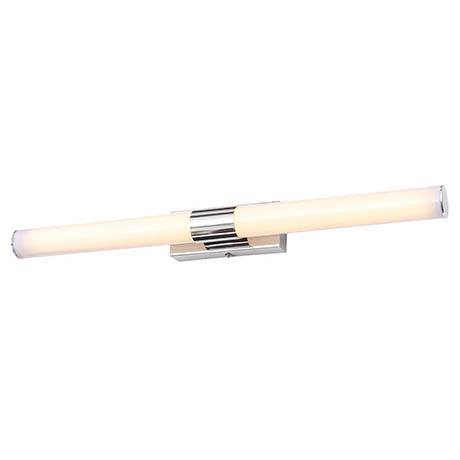 The light features a chrome finished rectangular wall plate and a horizontal long tubular glass diffuser. The integrated LED lamps are energy efficient with an average lifespan of 20,000 hours.